A real wood fire satisfies like no imitation can. Each fire is unique, following its random path from lit kindling to dramatic flames to red coals. The soft glow of the fire creates a memorable setting for intimate conversation. It's the place where family and friends gather. Gazing into the fire in a quiet moment, your imagination is free to soar on flights of fancy or probe the depths of the soul. A wood burning stove or heating fireplace bathes the room with a rich, soothing warmth that no other energy source can equal. The fire's radiance gives a welcome embrace as you come in from the cold. With its all-natural ingredients, a real wood fire is a hearty tonic for winter chill. When you warm your life with wood, you participate in a natural cycle and an ancient human ritual. The simple act of stirring coals and placing logs on the hearth is one we share with ancestors who lived at the dawn of human history. Burning wood for warmth is still satisfying. True, it takes a little extra effort, but like tending a garden or home cooking a meal, you are always rewarded. Wood is a renewable energy source. What does that mean? Solar power from the sun, wind power, and wood energy are renewable resources, meaning they can be used forever without depleting the earth. Using renewable energy is like living off the interest earned by the earth's assets, and never touching its savings. In contrast, fossil fuels like oil, gas and coal are not renewable and their consumption is the leading cause of global warming. Burning fossil fuels sends carbon dioxide, the main greenhouse gas, on a one-way trip. It pumps million-year-old carbon from inside the earth into the atmosphere, where the concentration of carbon dioxide is increasing. Burning oil, gas and coal is like spending the earth's savings, and scientists say it is changing the global climate. Wood fuel is different. 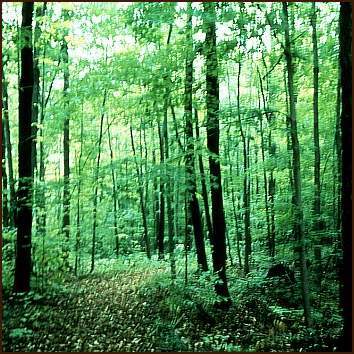 As trees grow, they absorb carbon dioxide from the air in a process powered by the sun. Indeed, about half the weight of dry wood is this absorbed carbon. A tree destroyed in a forest fire or one that falls and decays in the forest gives up its carbon once again to the air as carbon dioxide. So continues the earth's carbon/carbon dioxide cycle. When trees are used for energy, a part of the forest's annual growth is diverted from the natural decay and forest fire cycle into our homes to heat them. Both natural firewood and wood pellets — made by compressing waste sawdust — are energy products from the forest. Well-managed forests can be a renewable, sustainable source of energy that helps us reduce greenhouse gas emissions by displacing the use of oil, gas and coal. Some may view a wood stove or fireplace as old fashioned, but that image is out of date. Things have changed a lot. Innovative research has transformed the trusty old wood heater from a clunky black box into a marvel of modern heating technology. Yet none of the charm and beauty of the natural fire has been lost. An advanced technology stove or fireplace won't pollute your indoor air and you'll see no smoke coming from your chimney. It can deliver up to 75 percent seasonal efficiency while emitting 90 percent less smoke than the old "airtight". This means you'll need about 1/3 less wood for the same amount of heat. The new technologies raise the temperature of the fire, making it more beautiful than ever and keeping the fireviewing glass crystal clear. Now you can enjoy the pleasures of a real wood fire and cast your vote in favor of the environment at the same time. Modern wood burning stoves and fireplaces are a perfect match for new energy efficient houses. A centrally-located wood stove can fully heat a home of moderate size, and for larger homes, the heat from an elegant new fireplace can be ducted to all areas. No more chilly rooms. And no more getting up in the night to feed the fire — all the advanced models deliver a reliable overnight burn. When all else fails, you can count on a real wood fire. Without heat, an emergency becomes a disaster, but with a reliable wood heater and a few candles, you'll turn it into a family adventure. When storms rage and the power lines go down, your family will be warm and cozy and safe around the real wood fire. Some other advantages of wood heating are not so obvious. Like freedom from dependence on large energy utilities. Like the satisfaction of providing for one's family directly, instead of just sending off a payment each month. Like becoming ever-more skillful at kindling and tending the fire. Like sitting back, putting your feet up and admiring your handy work. There is more to woodburning than meets the eye. You may have heard people say that wood burning is unsafe. But when problems arise it is almost always because the heater and its chimney were installed wrong. Modern wood burners are safety tested, and when properly installed, a wood stove or fireplace is as safe as any other heating system. In the past, chimney fires were a big concern. Today's new breed of advanced heaters burn so clean that chimney fires have become a thing of the past. Your enjoyment of the fire need not be tempered by nagging fears about safety. There is a good chance that the staff of your nearest wood stove and fireplace shop are graduates of professional training courses, so you're not alone. Trained people can help you get the natural hearth of your dreams as well as the peace of mind that comes from knowing the job has been done right. What is responsible wood burning? Don't waste wood. 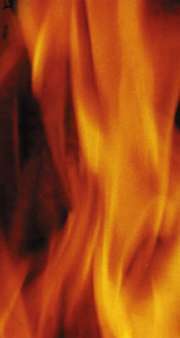 In cold weather, the fire in an open woodburning fireplace actually consumes more energy than it delivers to the house, so the oil or gas furnace has to work harder. This is a waste of both wood and a fossil fuel. An advanced fireplace or stove saves a lot of both. Burn clean. 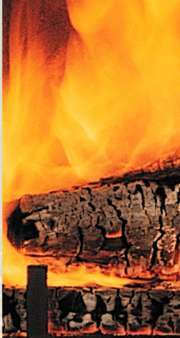 Properly seasoned firewood provides more heat and less smoke. No wood fire should smoke, not even a campfire. In fact, a lot of smoke coming from a chimney is embarrassing proof of the operator's lack of awareness or experience. Learn how to burn without smoke . . . you can do it. Burn safe. Don't put anyone at risk by guessing about safety. Today's woodburning systems are safety tested and have instructions for safe installation. Follow them carefully, or better still, hire an experienced professional to install and maintain it for you. Feeling at ease is part of the pleasure of woodburning. Think sustainable. If you don't cut your own fuel, ask your firewood supplier where the wood came from. Make it known you only want wood from sustainable sources. You might wonder why anyone would encourage you to heat with wood. After all, there is no billion dollar wood fuel utility that will profit from your conversion. There are no multinational corporations involved in the wood heat business. If the whole idea is for households to be independent and save money, then who stands to gain if you heat with wood? A few small companies would benefit: the local stove and fireplace shop would like to have your business; the equipment manufacturers would like you to buy their products; the local chimney sweep would be happy to service the system each year; and the small jobbers, farmers and truckers who process and sell firewood might do a little better. But nobody makes the big bucks if you de cide to heat with wood. This message is from people who believe that we all gain when energy is used wisely. We think that renewable energy is inherently better than non-renewable sources like oil, gas and coal. Our expertise happens to be in wood energy, so we want to encourage its responsible use. We support you in woodburning by building, selling, installing and servicing the equipment you need to make it happen. funding for the project was provided by ICChimneys/RSF Fireplaces. Text by JG and a bunch of reviewers. See how the brochure really looks by clicking the link below. poster can be purchased here.